Comment: It sounds as though birds are nesting in the bathroom exhaust vents. Need someone to remove any nests and to add a screen or something to prevent birds from entering in the future. Comment: we have a bat (or a few?) in our attic, need it (them) removed. Comment: There are tons of ground wasps across about a fifth of an acre in front of the deck that's attached to the house. Comment: Hearing movement in the ceiling, scampering sounds. Part of shingles on peak of roof is lifted up a bit. Hear the sounds at night. Comment: We have a bird pecking at our front window daily and leaving bird droppingâs all over the brick also. Comment: Just need a pest inspection for refinance. Howell Pest Control Services are rated 4.48 out of 5 based on 1,176 reviews of 12 pros. 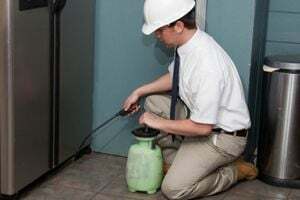 Not Looking for Pest Control Contractors in Howell, MI?